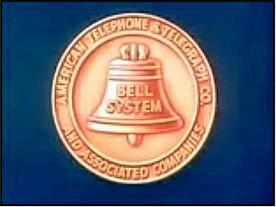 The Bell Laboratory Science Series consists of nine television specials made for the AT&T Corporation that were originally broadcast in color between 1956 and 1964. Baby boomers will remember them from elementary school. Famed film director Frank Capra produced and wrote the screenplays for the first four films: Our Mr. Sun (1956), Hemo the Magnificent (1957), The Strange Case of the Cosmic Rays (1957) and The Unchained Goddess (1958). 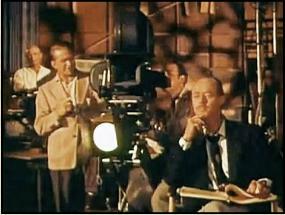 Capra's screenplays called for two principal characters, "Mr. Research" and "Mr. Fiction Writer," who would interact with animated characters and each other. "Mr. Research" explained the scientific premise of each film while "Mr. Fiction Writer" acted as the antagonist, often expressing a healthy skepticism or disbelief about the facts "Mr. Research" presented. 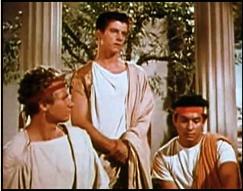 He would also translate "Mr. Research's" verbiage into the language of the common people. 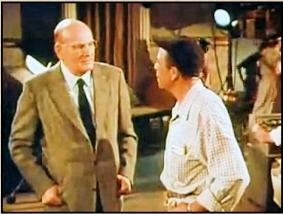 Warner Brothers Pictures was in charge of production for the next four specials: Gateways to the Mind (1958), The Alphabet Conspiracy (1959), Thread of Life (1960) and About Time (1962). 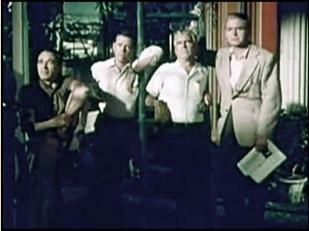 Producer Owen Crump also directed three of them, but (unlike Capra) he did not write the screenplays. 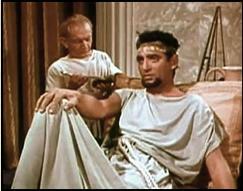 Baxter was retained as the host, but Capra's characters "Mr. Research" and "Mr. Fiction Writer" were jettisoned. 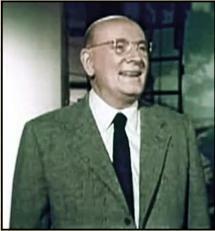 Capra selected Dr. Frank C. Baxter for the role of "Mr. Research." 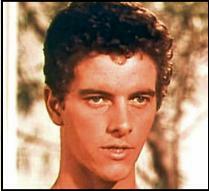 Baxter, a veteran of numerous educational television programs in the 1950s, was a professor of English at the University of Southern California. The role of "Mr. Fiction Writer" was played by Eddie Albert in the first film and by Richard Carlson in the following three. Baxter didn't make it to the ninth Bell Laboratory Science special, The Restless Sea (1964), which was produced by Walt Disney Productions. 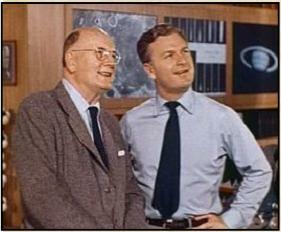 The half-hour film examining oceans, with Sterling Holloway as host, was the last of the series. 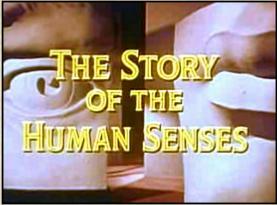 In Gateways to the Mind, a Warner Brothers sound stage serves as a workshop for telling the story of the five human senses and how they function. As he and a crewman approach the "Aristotle set," Dr. Baxter states that Aristotle (over 2500 years ago) wanted to know more about the five senses. 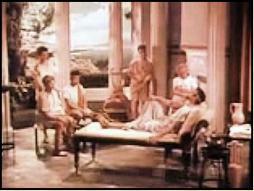 Aristotle gets a shave while he and his students debate the importance of the five senses to the human soul. 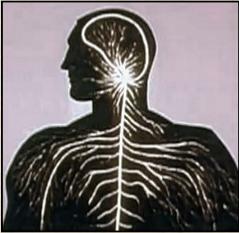 Click here to view Gateways to the Mind on the Internet Archive Website. 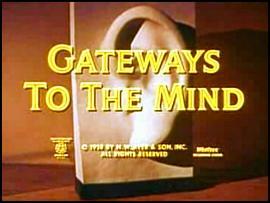 In Gateways to the Mind, the studio crew members are the science skeptics. Dr. Baxter fields their questions. Eric Niderost, a baby boomer, history teacher and Peter Brown fan, is writing a book about Dr. Frank C. Baxter and the Bell Laboratory Science specials. To read Eric's published article from Outre Magazine, click here.